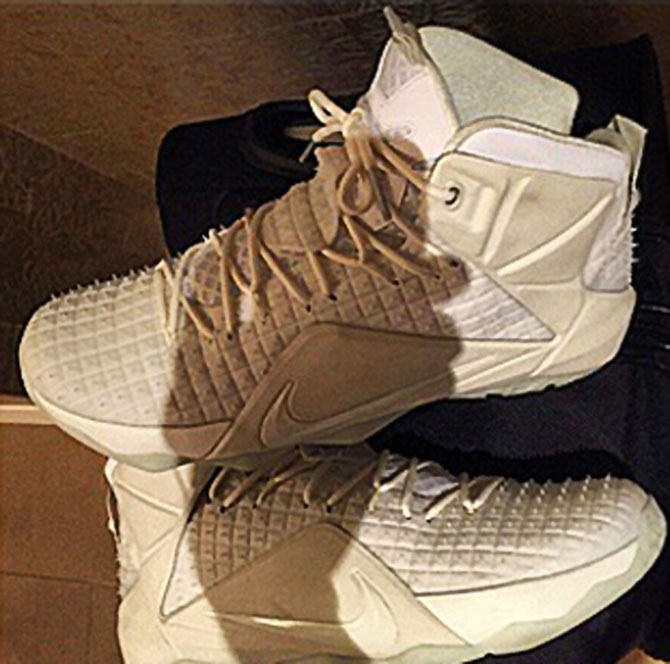 A clean new look for the latest EXT LeBron shoe. 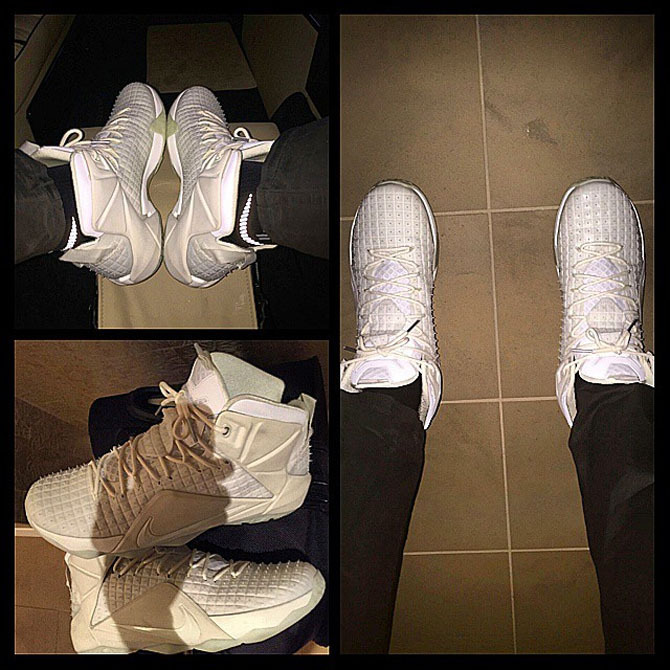 LeBron James is making a strong case for this season's #SoleWatch MVP, but he's also bringing the heat off-court. 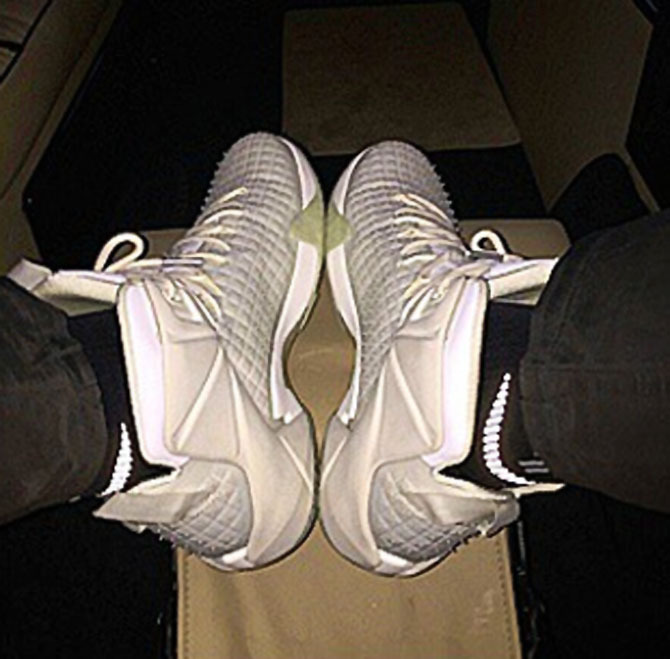 Last night, James debuted the latest addition to the 'Rubber City' Nike LeBron 12 EXT series — a pair styled in all-white, which is actually the natural color of rubber. The new look follows a black-based colorway that will be releasing, as well as an all-red pair that may or may not be exclusive to James. The 'Rubber City' 12s are inspired by Akron's designation as the 'Rubber Capital of the World.' 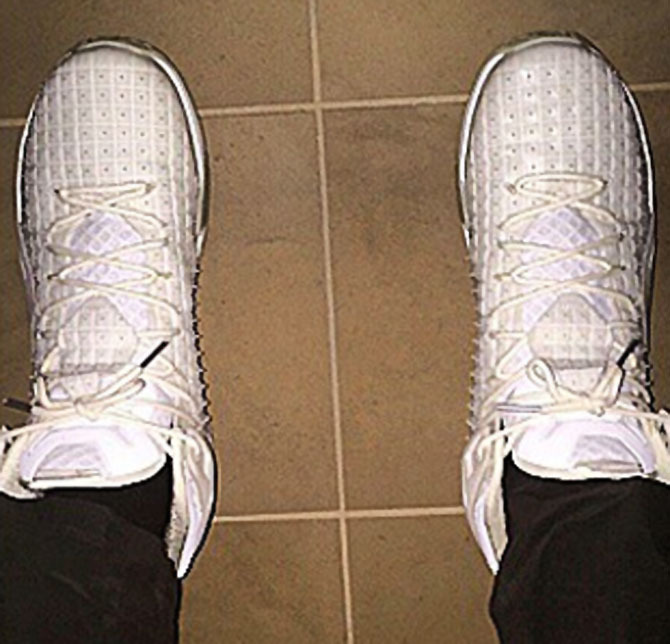 It's unclear whether this pair will be hitting retail.